Purchase this product at wholesale by enrolling as one of our “Preferred Customers” (free). Click the “BUY WHOLESALE” button below! 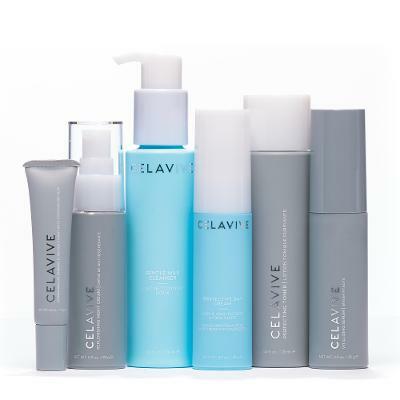 Awaken your skin’s natural ability to renew radiant, younger-looking skin with this Celavive® Regimen Pack containing products specifically formulated for dry or sensitive skin types. Featuring powerful active ingredients and natural botanicals, this high-performance skincare system (with cell-signaling InCelligence) is designed to support the natural beauty-preserving functions within your skin to deliver benefits that are unique to your individual beauty needs.